One of the truly wonderful aspects of birding and focusing in on nature is the experience you have when you stumble across something truly unique. That very thing happened yesterday. I had small birding group out for a days birding at the migrant hot spots of outer Point Reyes. 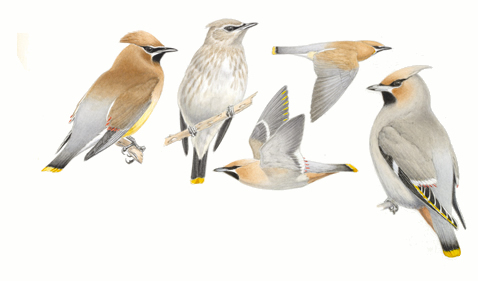 Most folks might consider fall migration over by the end of October but for me, November is the truly exciting time. Yes, the diversity and numbers are not what they would be on a “hot days birding” in late September or early October, but the quality does seem to go up. When I say quality, this is what I’m talking about. Truly lost and species and individuals that took time to get here, show up later, like November. Well, this bird put us back on our heels when we located it at a great and somewhat sheltered migrant trap referred to as The Fish Docks. I was accompanied by Ron Mallory and Karen Hooper. Ron first spotted the bird but it was a good half hour before we were able to get better looks, photos and video of the bird. 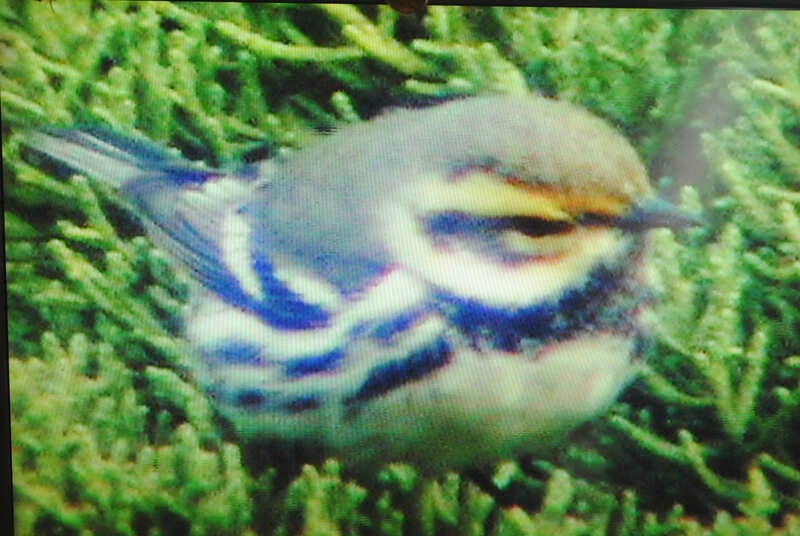 It moved around in Monterey Cypress with two Townsend’s Warblers. The first photo is one that Ron took with his cell phone through his scope. 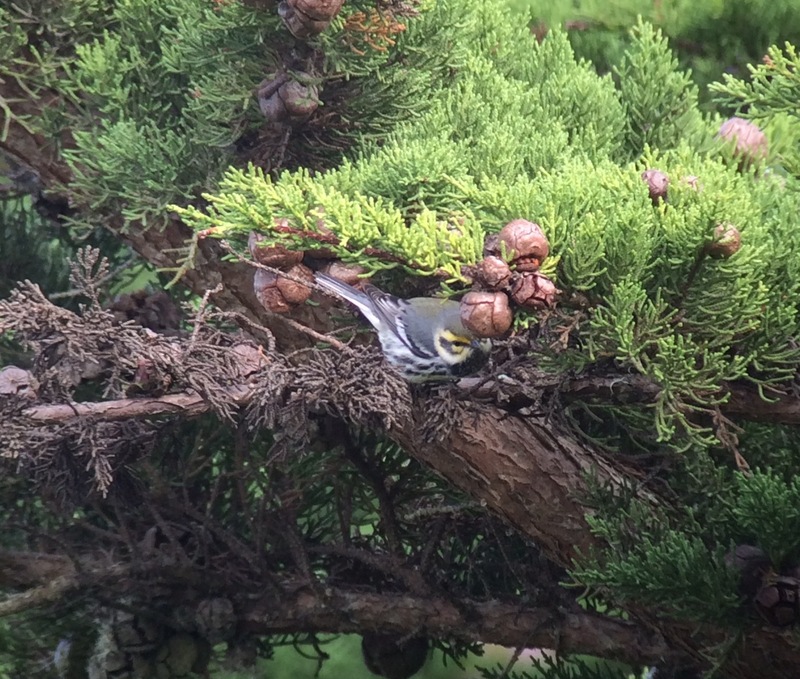 On first impressions, the bird seems to be either a Townsend’s Warbler that lacks most of its yellow, or a Black-throated Gray Warbler that has an over abundance of yellow. Could it be a hybrid between the two? Here are several photos that were actually taken of my computer monitor when I paused the video that I had taken. Since the bird has a black throat, it is an adult male. However, an adult male Townsend’s should have an all black crown and cheeks as well as a green back. This shot makes one think about the possibility of an eastern Black-throated Green Warbler, however they don’t show a gray face or back and DO show yellow at the base of the flanks where the tail joins the “hip”. It is my feeling that this is an aberrant Townsend’s Warbler that is lacking much of the yellow in its plumage. The bird otherwise is patterned and “built” like a Townsend’s rather than some sort of hybrid. 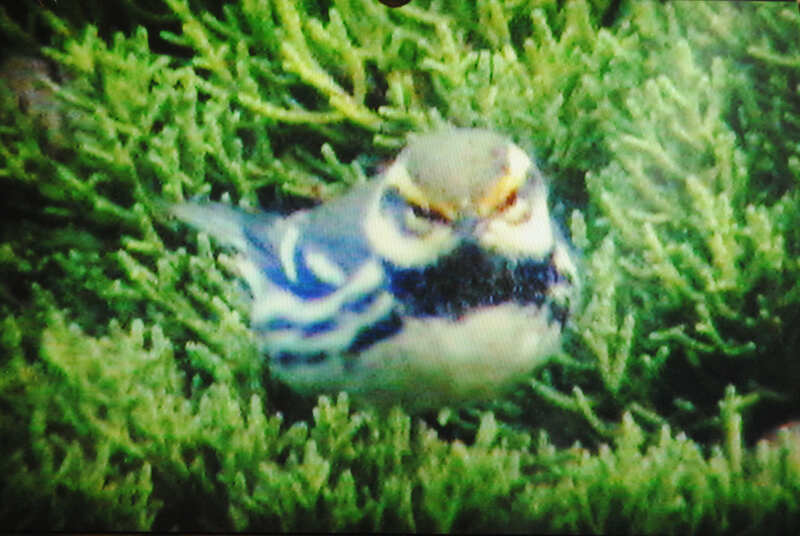 So please stay tuned as I will try to get the video of this VERY COOL bird on my blog in the next day or two. Keith – So glad you mentioned this item. 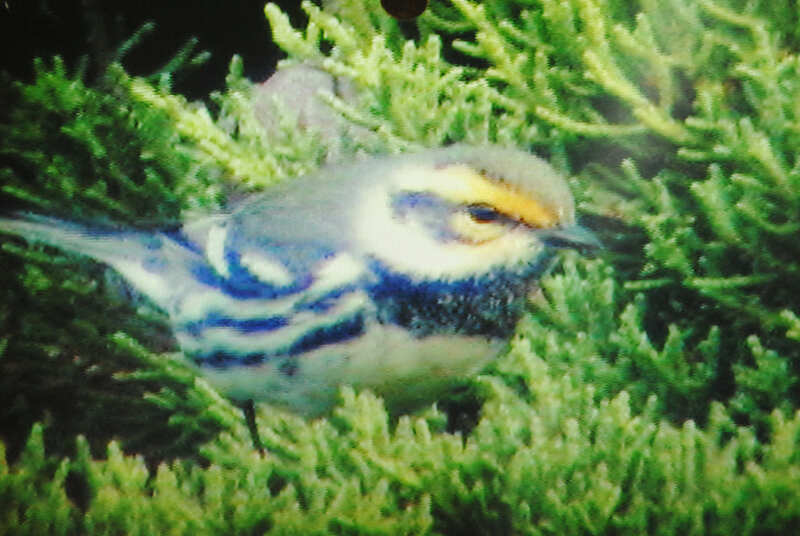 I was at home in Corte Madera looking at a bird that I initially thought was a Townsend’s Warbler in our backyard trees a few weeks ago. As he (presuming it was a he) got closer I was flummoxed by the lack of a black crown with the presence of a black chest – thought to myself could it be a Black-throated Gray Warbler but the presence of yellow on its face threw me off. Being a total birding amateur and having no others to compare I forgot about it until now. Doesn’t the presence of the other Townsend’s Warblers when you first sighted him suggest it is more likely a Townsend’s variant? PS I saw Pete today and he told me you all saw a Peregrine take out a Seagull in mid-air by Five Brooks the other day. Jean and I must get out with you someday! Cheers. Dear Jordan, Wow! Sounds like you saw something very interesting in your yard. 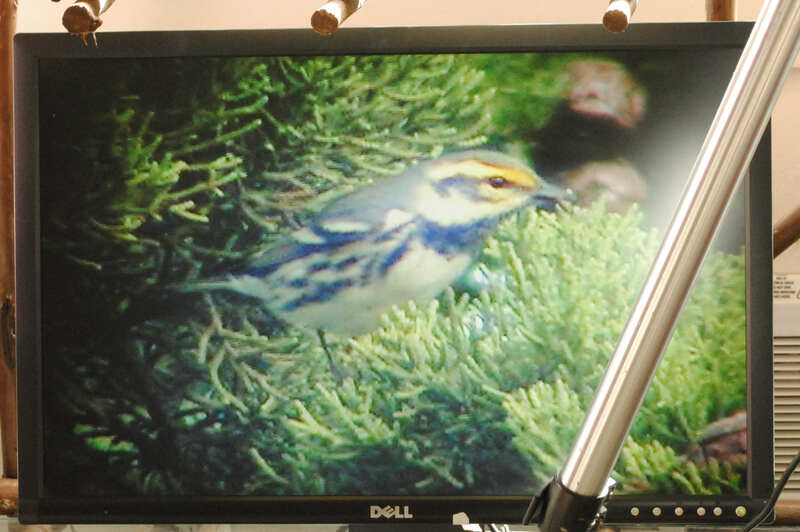 Lots of folk have been commenting about this bird and the thought is, is that this bird is likely a “carotinoid-challenged” Townsend’s Warbler or a hybrid between a Townsend’s and a Black-throated Gray Warbler. Whatever it is, it was a delight to behold! Yes, the Peregrine nailing the California Gull was a mind blowing event that lasted perhaps 5 min’s. with 7 attempted stoops involved, covering not only many hundreds of feet in vertical pursuit but a couple of miles before it was all over, (especially for the gull). Once the falcon grabbed the bird, all lateral movement seized and “spinning pin wheel” of four flapping wings slowly circled down, Down, DOWN until the two birds, locked in a death embrace, vanished behind a distant stand of giant Douglas Firs.